All leaders need to have a certain amount of support to be successful. Without the support of friends, family, and coworkers, it is much harder to succeed. Their support helps to buoy you up when life gets you down. The support they give comes as they give encouragement and support through the hard times, as well as, the good times. 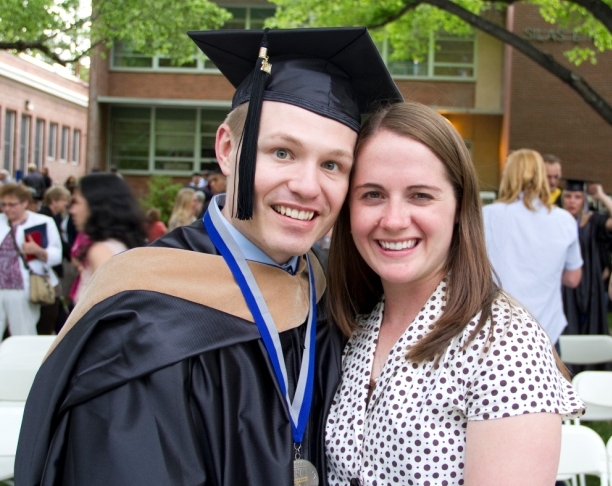 Through the entire MBA program I had complete support from my wife. There were many times that I had to spend long hours at school and only saw her as I got home and got ready for bed. She was always there to help me through the hard times by giving me encouragement and support. In addition to the challenges of the MBA program, my wife and I had our little girl in 2009. My wife took care of our daughter on her own for large amounts of time due to my absence. Many times it was as if she were a single mom raising our daughter on her own. She never complained because I was gone too much or not around enough to help. Through the entire program, she gave me words of encouragement and took care of our home and family. In addition to the support of my wife, I also had friends that helped me to continue in the program through the hard times. Many of those friends were going through the program also, so we worked together to encourage each other. Going through the program with strong friends really helped me to stick it out through the tough times. I can’t thank those that have supported me enough because their support drove me to be successful in the MBA program. Support systems are so important as leaders. There are times when it will seem as though everyone is against you and your support systems will help you to make it through. As you’ve worked to be successful, who has helped you along the way? How has their support helped you to make it through the tough times? Congratulations Brandon! We love you!! You’re awesome. You have always been fantastic at goal setting and accomplishing, what a great example!